And now for something completely different. Hilly Kristal’s original Mud has become something of an off-beam underground classic. Meanwhile CBGB’s, his club of 32 years’ standing, is fighting for its life, even given its standing in the alternative downtown New York cultural scene (the landlord has served an eviction order, and the process is grinding away). Something cheerful is clearly needed. We released Hilly’s only album ever, Mad Mordechai, when we started in 1999. (Few people know that he once had a solo deal with Atlantic Records and sang on the stage of Radio City Music Hall.) 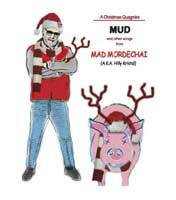 Mud also exists in a Christmas version, (titled Mud Christmas for your download site search) reflecting the original CBGB’s 1976 holiday single’s B-side, and was released as a limited-edition 12” vinyl single a few years back. This month, we make available the short and the long versions for paid download. Hey, 99c isn’t that bad for seven minutes of party. Don’t overlook the animals on the Barnyard Breakdown indulgence. Please note that we’re behind on uploading to iTunes and other sites worldwide (like everybody, it seems), but we will send a special newsletter when it’s all in place around December 7 (so if you're not already signed up, please do so). If you're still puzzled, check out the full story, told by producer Mke Thorne. We extend the photos of Hilly on site to feature four in hi-res for download. As with all hi-res downloads offered on the site, all are cleared for public reproduction. Those of you with long memories will recall BETTY’s Snowbiz release in early December last year. Just a little too far behind the beat for the reviews and the press it deserved. So here we are again. You now have plenty of time to get this perfect seasonal stocking stuffer (arrives in the US three days after you place the order, six days elsewhere) so there is no excuse this year around. To remove any objections you might have, we post a few typically glowing reviews. It’s only a short CD, but we feel it’s one of BETTY’s best ever, bringing together both their rock+roll and theatrical sides. It’s also their best-sounding ever (recorded at New York’s Avatar studios which were once the fabled Power Station). All for only $12 including P&P. We realize it’s really an all-winter album, so you will have the chance to be cheerful in January (or suffer, depending on which song you choose). We’ve been extending our Lene Lovich section this month, following her stunning sell-out performance at Joe’s Pub in New York. We’ve added six photos from the show, with two of them available for hi-res download. Also, the poster for Shadows And Dust turned out rather nicely, so we have provided a hi-res download for A3-sized paper (you can also print it on smaller sizes). Even more, you can now download two of Lene’s classic photos from the very early eighties. 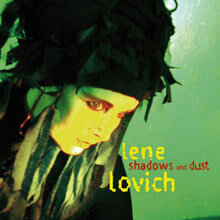 Thanks to all of you who have bought Lene’s CD. We’ve created an instant collectors’ item with the wrong running order on the disk. (We never expected any of you to specifically ask for it.) The intended sequence was changed just before mastering, and didn’t make it to the final pressing, but the old order works very well. It will be corrected when we repress, but in the meantime the actual disk order is given on added stickers. And this for our far-eastern readers. 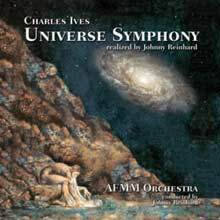 After posting several translations of the Ives Universe Symphony booklet notes, the Japanese has taken much time and effort. It’s up there, but still with a few mistakes in formatting and musicology, for which we apologize. We thought better almost than not. The definitive version will come later in November. This is our only translation from a culture outside the Western musical tradition (the others are in Spanish, Italian, German and Russian). Ives’ ideas are often hard to express in English. In Japanese, it was even necessary to invent a few new symbols. As you can imagine, getting the nuances right in this most nuanced of language is a formidable task, and we owe our indefatigable translator Setsuko Aihara enormous thanks.